The Seller of the Jumbo Reservoir Hunting Land Auction is offering their 320+/- acres of Colorado hunting land for sale at auction with no reserve. SOLD! Rescheduled for November 1, 2016. SEE DETAIL BROCHURE UNDER QUICK FACTS FOR UPDATED INFORMATION ON THIS AUCTION! 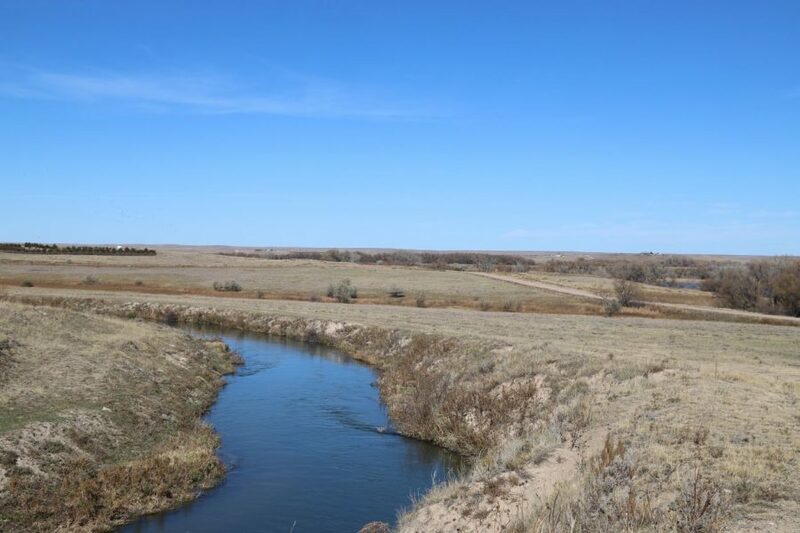 614.9 ac South Platte River Accretion & CRP Land for Sale; 2.3 mi of South Platte River frontage (West side); Excellent duck & goose, turkey & deer hunting. SOLD! High Bids $1,465,000! Both properties are located in major duck & goose flyways w/ excellent turkey & deer hunting. SUCCESSFUL AUCTION! - 525 +/- Total Acres – Morgan Cty, CO. Pivot & Flood Irr – Improvements – Sub-Irr pasture. From Fort Morgan, CO, 1.3 mi N, 4.5mi. Auction Day is 10/1/15. SOLD! Call Reck Agri Realty & Auction about the Spoon Home, Outbuildings & Pasture for Sale, Logan County, CO. Clean home with a barn, shop & outbuildings. Beautiful setting with a view of the South Platte River. Great location for horses & livestock. Pasture ready for grazing! 255 +/- Total acres. SOLD! Call Reck Agri Realty & Auction about the Eacker Pasture for Sale, Washington County, CO. Windmill for livestock water, good stand of grass, county road access. Pasture ready for grazing! 14 ½ miles east of Brush. 12 ½ miles northwest of Akron. 240 +/- Total acres. SOLD! 320 ac w/Ramsey Creek providing year around live water; Irrigated & sub-irrigated pasture & hay; Improvements; Private setting with access to paved county road. SOLD! Call Reck Agri Realty & Auction about the Voisin CRP, Phillips County, CO Land for sale southeast of Holyoke, CO. Good opportunity to purchase 325 acres of CRP as an investment. Possession upon closing. Mainly Class II and Class III soils.